Iran remains part of the ‘axis of evil’ that President Bush designated in January 2002 as states that support terrorism and seek weapons of mass destruction. Ironically, despite the official designation of Iran as such, events since the American invasion of Afghanistan and Iraq indicate that the US has pivoted more towards Iran. Both US and Iran collaborated in the war against the Taliban in Afghanistan and are also cooperating against ISIS advances in Iraq. In this sense, the Iranian nuclear deal should not be seen in isolation but in the context of sustained American and Iranian engagement in Afghanistan and Iraq, a fact less publically acknowledged by officials on both sides. Thus, it is against such a backdrop that the nuclear agreement between Iran and the P5+1 states should be contemplated. As both Iran and the US come full circle through the nuclear agreement signed on April 2, the present article brings into contention the fractious debate on the deal and argues that an Iran engaged with the international community is a safer bet than a nuclear Iran that stands isolated. Reducing its installed centrifuges by approximately two-thirds from the present 19,000 to 6104, of which 5060 enriching uranium for the next ten years. Uranium enrichment to be kept under 3.67% for at least 15 years. Prohibiting Iran from building any new facilities for uranium enrichment for 15 years. Converting the Fordow facility for peaceful purposes only and not to enrich uranium there for a period of 15 years. Allowing for IAEA inspections to all of Iran’s nuclear facilities including access to uranium mines for a period of 25 years as well as the supply chain that supports Iran’s nuclear program. One of the primary concerns of the deal-skeptics in the US is that Iran will use sanctions relief in order to destabilize the Middle Eastern region further. A second concern emanates from the fact that the deal still will ‘leave Iran with a sizeable enrichment capacity and none of its facilities will be shuttered as was once contemplated.’ The deal, in essence, merely suspends but does not eliminate Iran’s nuclear programme and that even after a period of 15 years; Iran will have the option to assemble its own nuclear bomb. A third concern relates to the scenario of re-imposition of sanctions if it is found out that Iran had been cheating and working tacitly towards building a nuclear weapon after a period of 10 years. Zalmay Khalilzad, former US Ambassador to Iraq, asserts that it would be impossible for the United States to snap-back the sanctions into place, because the logic of economic benefits and trade will outweigh considerations of dealing with Iran through coercive diplomacy. Thus, in the end, it will be impossible to contain Iran both economically and with respect to its nuclear weapons program. First, the nuclear agreement with Iran falls in the category of an arms control agreement rather than a disarmament treaty. This implies that in an anarchic international system, a state may merely cap or freeze its existing nuclear arsenal rather than eliminate it entirely. All major international treaties such as NPT and CTBT, for example, are arms control treaties which allow states to maintain their nuclear arsenal with relevant safeguards and related stipulations. Second, sanctions against Iran since the 1990s have not prevented Iran from flexing its muscles in the region or expanding its nuclear technology. This, as the deal critics point out, has contributed to increased regional insecurity and destabilization and a sign of Iran’s aggressive expansionism that will only be emboldened with the present nuclear agreement. However, at the same time, the changed geopolitics of the Middle East in the War on Terror has reinforced Iran as a seminal player in the region which has come ironically with latent American acquiescence. The regional security complex in the contemporary Middle East has seen an extraordinary rupture, if not a complete overhaul, in the enmity paradigm marking relations between the two states since 1979. The convergence of American and Iranian national interests in Afghanistan and Iraq is an inconvenient truth for the skeptics who willfully choose to ignore it. Third, it has to remembered that the nuclear agreement is not between the US and Iran but between Iran and the P5+1 states symbolizing a remarkable international consensus between the major powers over Iran’s nuclear issue. Ironically, voices of opposition against the deal have been witnessed exclusively from United States but not the other signatories including France, Russia, China, Britain and Germany. This allows for an opportunity, for example, if the Iranians were to renege on their commitment to limit uranium enrichment and proceed with nuclear weapons, the response to such a venture and the cost of associated risks would be higher. The agreement binds all signatories to a common cause, that is, ensuring that Iran’s nuclear program remains under limits and open to international inspections and verification. 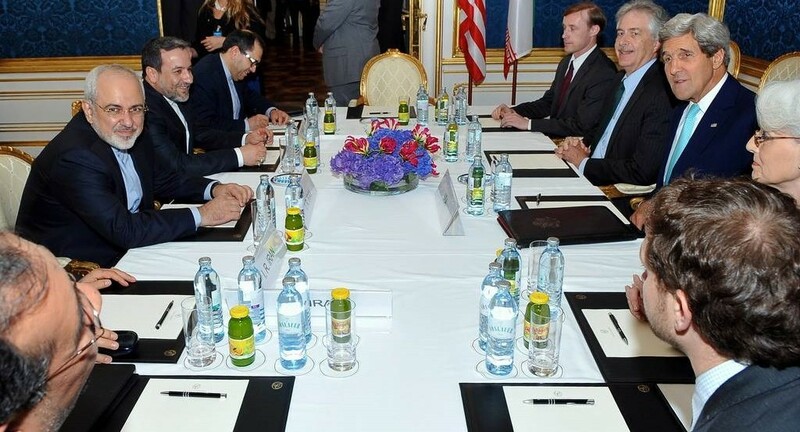 If Iran does not comply, it risks increased isolation not only from the United States but all the signatory states. Contrary to Khalilzad, it could well be argued that the United States would be in a better position to put pressure on its European partners and Russia and China to foreclose trade and investment with Iran. How the deal could go bad? Two potential spoilers to the deal remain, however. First, the JCPOA is still a preliminary agreement and coming to an understanding on the process of how and when sanctions will be removed is still an uphill and gigantic task. The Iranian Supreme Leader’s intent on the immediate lifting of sanctions after a final deal is reached does not go well with the P5+1 inclination to remove the sanctions gradually. Second, it is important to see how US diplomacy balances out the deal with its staunchest allies in the Middle East, Saudi Arabia and Israel, with the latter proclaiming that any final deal should contain Iranian recognition of Israel’s right to exist. The downside of the deal could be aggressive Saudi diplomacy in the Middle East stoking increased sectarian wars and rivalries as a means to contain Iranian influence (as Iran comes closer to the West) leading to regional instability and conflict, as being witnessed in Yemen. What the deal means for Kurdistan Region and Iraq? The implications of the nuclear deal for the Kurdistan Region and Iraq are dependent on how Iran’s role in the region shapes up as a permanent deal is finalised in June 2015. Scenario 1: Iran continues down the path of expansionism and interventionism in the Middle East. Iraq and the KRG are already dependent on Iran’s security nexus including the role of Shiite militias in the war against ISIS. Hence, the lifting of economic sanctions is bound to embolden Iran resulting in a more aggressive and expansionist Iranian policy in the Middle East. In such a scenario, both Iraq and KRG are bound to be flummoxed by an assertive Iran and the independence of Iraq and KRG severely compromised; a process some would argue is already underway. Scenario 2: Iran exercises restraint in regional politics. If Iran chooses to play smart power and politics, then KRG and Iraq could well see economic benefits flowing to the country as sanctions are eased and the import of natural gas from Iran, for example, which the KRG perceives as important in the cheaper production of electricity. However despite the flowing benefits, the KRG and Iraq will need to maintain a healthy balance between interdependence (shared economic benefits with Iran) and dependence (where only Iran benefits to the detriment of KRG and Iraq). The consensus of the international community in forging a deal with Iran makes the present nuclear agreement remarkable and historic. The imperative of engaging Iran through talks and negotiations serves as a model for negotiated settlements to ensure win-win outcomes for all sides. At the moment, skeptics specially in the US, are vocal in condemning both President Obama and Iran but it may well be argued that regional security is better served through an accommodative Iran engaged with the international community as opposed to an isolated and threatening one.